>Civic Democrats: Teenage kicks or mid-life crisis? The principal party of the Czech centre-right, the Civic Democrats (ODS), have been celebrating the 20th anniversaty of their foundation. The party founded, by Václav Klaus in April 1991 from the right-wing anti-communist majority in the disintegrating Civic Forum movement, can probably lay claim to being Central and Eastern Europe’s most enduring newly formed post-1989 party. Certainly as far as major political players on the centre-right are concerned probably, only Hungary’s Fidesz’s can compete and in Fidesz’s case ideological mutation in the mid-1990s from anti-communist liberal to conservative nationalist probably gives ODS the edge , even if the Czech Republic’s more proportional electoral system has (thankfully) never seen ODS stack up Fidesz style absolute majorities in parliament. However, the party’s celebration of two decades as a political force, at which it was addressed by current leader Prime Minister Petr Nečas, it founder and current Czech President Václav Klaus and 2002-10 leader and ex-PM Miroslav Topolánek, seems to have been a rather more angst-ridden , divided and downbeat affair, than similar celebrations ten years ago. Then, having come through financial scandal under founder-leader Klaus and seasoned its Thatcherite neo-liberalism with dose of Czech nationalism, it was looking forward to election victory in 2002. It lost that election and, despite winning big in vote terms in 2006, has never managed to put together a stable majority government since. 1996 Ideological and strategic divisions – and the unsolved dilemma of how to manage its relationships with powerful informal networks of political ly connected business interests – were all on show at the event, which seems to have been the Czech right-wing version of the Three Tenors, albit with considerably less harmony on show. They are also thrown into sharp relief by the current woeful state of Petr Nečas’s coalition, whose large majority in parliament looks a good deal less solid given splits and relevations from within junior coalition party the populist anti-corruption party, Public Affairs (VV), where the waters have been muddied by accusations that the spilt in the party was not just due to VV being in the pocket of ABL security firm , but was engineered in factions in ODS (although this seems less well documented that the role of ABL and its founder busienessman Vít Bárta in taking over VV as a vehicle). For Klaus ODS’s woes lie in its move under Topolánek away from his own patent mix of neo-liberalism and eurosceptic nationalism to embrace the political centre and themes such as civil sociey and environmental protection. Far better to do pragmatic power sharing deals with the left, than allow such ideologcal contagion. Having flirted with flat taxes and fiscal populism (does anyone remember the Blue Chance programme? 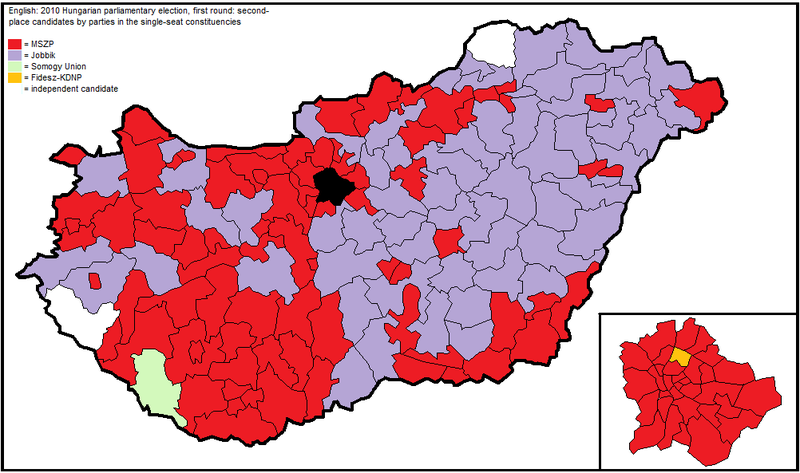 ), through a mixture of trail and error Topolánek adopted precisely this course as a means of broading ODS appeal, which despite touching 35% under his leadership, was not sufficient to deliver a workable majority – and tended to mobilise the left – leaving him reliant on small parties like the declining Christian Democrats and faction-ridden Greens. Both parties exited parliament in the 2010 elections, leaving a new political landscape charcterised by an ODS drastically weakened by the rise of reformist challenger TOP09 and the need to ally with the opaque and unknown VV. This, Topolánek (opposite) argued, was really a step too far and agreed with Klaus that the usual emergency option of pragmatic co-operation with the Social Democrats, who are at least a known quantity, was preferable. The recent and farcical reshuffle of the Czech government and the bizarre hard-to-deal with behaviour of VV deputies and officials – none of whom seem to talk to each other without secretly taping other and offering some may-or-may-not-be-true revelation that crops up on the front pages the next day – makes the point. But the issue running in parallel with the question of how expansive and centrist the Civic Democrats should or shouldn’t be is that of corruption and clientelism. One interpretation of Czech politics is simply to see the country’s various parties (with the possible exception of the Communists) as corrupt vehicles for shadowy, informal politico-business networks: this is, for example, forms the master narrative of daily The Final Word commentary that accompanies the daily English press resume The Fleet Sheet, which speaks in a seemingly well informed way of the Czech Republic as an ‘electro-state’ dominated by powerful vested interests (of which power generation company ČEZ is the most powerful) grouped more broadly into ‘Five Families’.I deological divisions between parties and political programmes are, in this view, a mere facade as shadowy figures get their claws into parties and politicians, extracting billions one way or another through various soft, untransparent and uncompetitive deals involving public property and policies which subvert the public interest. There is plenty of evidence of an anecdotal, journalistic kind that such relationships exist. The press is full of it and poltiicians themselves report them. 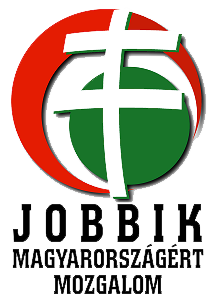 In the dying days of his premiership Topolánek condemned political ‘godfathers’ within (kmotří ) – powerful regional bosses tied to networks of vested interests, subverting the s(upposed ly) bottom-up democratic national organisations the Civic Democrats have traditional prided themselves on. But the real extent and scope of such relationships and the way they relate to programmatic/ideological issues that voters and politicians themselves spend a lot of time: on academic political science shows that parties offer basically ideologically coherent programmes and that voters register this and vote on them accordingly in ways which reflect wealth, class, education and age. In forming coalitions, parties clearly negotiate on programmatic issues, as well as the who-gets-what-ministry concerns that the simple model of pure corrupt clientelism would suggest. In the end, the Last Word model – even if we assume that it is based on the purest and most reliable of inside information – seems only to offer half the story, all too remincient of the darkly conspiratorial view of the world offered by the Czech far-right in days when it was electoral force. (Communists would probably also find it a good read, although with perhaps too little mention of global capital). What matters more, however, is the ‘social fact’ that parties – and certain partiers in particular such as the Civic Democrats – are seen as toxically contaminated by corrupt clientelistic networks. It would be interesting to try to quantify and track over time the public’s views on the Civic Democrats and separate it out from the Czech public’s massive and growing distrust of parties and politicians in general – but tack in Prague, the Three Tenors touched on this second, probably now more intractable problem for the party, which seems to overlap for public and politicians alike with Machivellian politics of smears, plots and spin of the type well illustrated by recent events around VV. None had very convincing answers. For Klaus – forgetting the financing scandals of 1990s – the problem seems to be one of ideological slippage and lack of political backbone, belief and mission, creating the space for faction fighting and corrupt interest politics. For Topolánek, it was dealing with Public Affairs, legitimising what everyone knew – or shrewdly suspected – from the start to be a pocket party serving business interests with naked ambition of advancing private commerical interests. But VV would, of course, never have become a political force without the apparently burgeoning politics of ‘godfathers’, which he was unwilling or unable to prevent. Nečas’s message was to recognise that voters have been looking for novelty but of Keep Calm and Carry On: the party was down but not out and its organisation, experience and programme would carry it through. And the Civic Democrats’ contribution to Czech democracy over the last two decades? Stable, conventional model of party politics; a new liberal pro-market ideology defining the Czech centre-right; being there when the big decisions were made and getting some of them right, they all agreed. Having written on that elsewhere, I won’t disagree. But, while Topolánek saw ODS as immature 20 year old with teenage lack of focus, the party, in fact, seems dangerously flabby and middle-aged. In the end, I do wonder if the Civic Democrats will be around in recognisable form in another twenty years. Or another ten. So, what does the Czech ‘earthquake election’ mean for Czech and Central European politics? As with the famous Ho-Chi Minh quote on the French Revolution, it is basically too early to tell – and probably will be for about another 10 or 20 years, but, I think, there four sets of issues/consequences to watch and think through. As all commentators have noticed, the election is an earthquake in Czech politics because of the simultaneous fall in the votes of the two big parties, that have been the pillars of the Czech party system for the last 15-20 years : the Civic Democrats (ODS) and Social Democrats (ČSSD). It is the lowest national vote for ODS since the party’s foundation in 1991 and puts the Social Democrats on a level of national support they had in 1995-6, although – as noted – they did experience a more catastrophic electoral meltdown in the 2004 European elections and bounced effortlessly back in the 2006 parliamentary elections. Previously, however, when one big party declined the other picked up support – with the exception that is of the Opposition Agreement period (1998-2002) when the they co-operated politically as a part of a confidence and supply agreement to enable a minority Social Democrat government. In that period, however, existing parties (the Communists and a Christian-Democrat led centrist alliance) gained from voter discontent – or, at least, vote desire to vote against incumbents. As the lastest analysis at Pozorblog makes clear (see graph) the swing in support for new parties is unprecedented in Czech terms and pretty damn big in regional terms. The 2010 result is still more striking because the fragmentation – and equalization – of the Czech party politics it has brought about – again Kevin Deegan-Krause has done the numbers over at Pozorblog – follows on an election result in 2006, which saw polarization and an large increas in support for both big parties. Indeed, in 2006 ODS polled a record vote. Such polarization seemed to be part of a CEE-wide trend at the time, but may now have been derailed. Does this herald a cycle of ever more unstable party politics with new parties rising and falling with increased tempo and scale, as the stable-seeming party systems of CEE such as Hungary, the Czech Republic and (who knows) even dear old Slovenia defaulting to ‘normal’ postcommunist politics under the exogenous shocks of the economic crisis and/or because finally voters have got truly fed up with them and a perfect storm of mismanaged strategy and credible new parties has blown up and blown them away. Kevin Deegan Krause suggests this and it’s seductive and plausible argument. On the other hand if organization and ‘standard’ predictable identity have tended over the long term to bring success, then in years to come they should tend do so again, especially once the lustre of anti-establishment newness wears off TOP09 and Public Affairs (as it very rapidly will when they enter government) and their lack of organizational (and in VV’s case) programmatic resources is laid bare. So there may be no automatic or quick spiral into cycle of parties rising and falling. ‘Old’ and ‘new’ parties – and here I am really thinking really of parties of the centre-right – ODS, TOP09, VV and Christian Democrats – are likely to be engaged in projects of realignment, likely to produce some Italian style alliance or bloc probably centred on ODS. Moreover, however fickle the voters – and I think that with the exception of some parts of the ODS electorate and small loyal core electorates of Communists and Christian Democrats, they have always been pretty fickle bunch – there is a limited reservoir of politicians, journalists, businesspeople and aristocrats with the experience, credibility and financial backing to launch a credible new party projects. They are not that easy to do. As that “one of the reasons that new parties do not survive is that they never really get started”. ‘New’ parties tend to work when they are breakaways from old parties – or recycled versions of earlier elites – with an aura of newness. Leaving aide the iconic Schwarzenberg, TOP09 seems run by hardened ex-Christian Democrats with a long political track record. What is TOP09 without the Prince? Public Affairs seems to form something of a fascinating exception here, but even here if you look closely you see that it has recycled part of many of the CR’s small off-the-radar liberal parties. The issue therefore seems to be just as the organizational stability and elite cohesion of existing parties in preventing breakaway projects and the ability of extraparliamentary politicians to bring together, mobilize and unite diffuse elements, than the voters ever changing moods. One critical point, may be the ability or inability of new parties to take control of the regions – currently all run by Social Democrats with the exception of Prague. 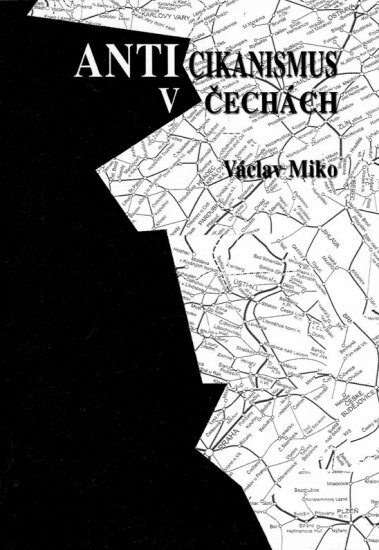 The battle for political control of the Czech capital in municipal elections in November will be an intresting test of whether TOP and VV can consolidate- although both are strong in the capital it will be a relatively easy initial test. Viewed in left-right terms for the first time since 1992 – well, in fact 1998 although in that year the Freedon Union’s leaders never for a moment allying with the ODS, having just broken away from it – this year’s election result break the deadlock between left and right. Coalition talks are have just started to form a ODS-TOP09-Public Affairs (VV) coalition, which, on paper, would enjoy a thumping majority (118 of 200 seats). However, the fly the in ointment is VV, whose origins, leaders and financial backing are uncertain and whose politics are as much anti-establishment and populist as right-wing,liberal and pro-market: the demand to cut the military budget and spend the money on schools seems characteristic. 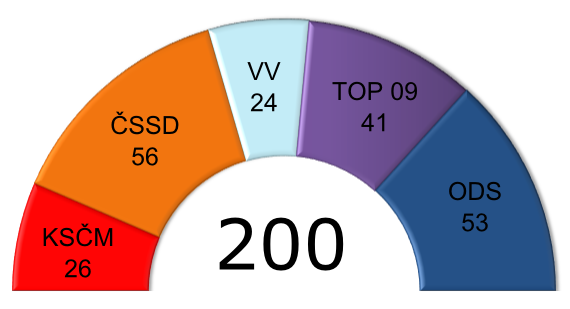 If VV is included ina coalition, the calculation at the back of ODS and TOP politicans is probably that even if VV’s parliamentary group splits – and the track record of loose, charistmatically led new parties which experience a meteoric rise would seem to make that a racing certainty – enough of its 24 strong group of deputies will gravitate to ODS or TOP09 to leave the government with a working majority. Still, given that the emerging Nečas government will need to make some tough financial decisions – and will be programmatic committed to doing – there are likely acute problems of party and coalition management, especially as TOP09 is itself a hastily put together conglomeration of ex-Christian Democrats, the odd ex-ODS politician and independent local politicians: seasoned with the odd businessman and emininent physian the latter group, especially, may have little experience of – or taste for – party discipline in parliament. The upshot of all – even if you subscribe to the somewhat conspiratorial view of Erik Best’s the Final Word – that TOP09 and VV are, in essence, fake parties intended to soak up protest voting and then fold (into ODS) and will not change the status quo where powerful vested interests dominate – is that there will be some major realignment on the right. This, as I suggest above, will be part organizational, but also part ideological: if there is some degree of consolidation a ‘Canadian scenario’ would seem most probably with the insurgent anti-corruption, market populist agenda of TOP09 and VV absorbed into the mainstream, most probably represented some kind of remade ODS. The Social Democrats, despite the shock of defeat, are in many ways in somewhat less of a crisis than ODS. 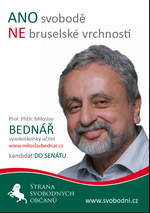 True the robust confrontation welfare populism and negative campaigning of Paroubek era may be dumped – although, in fact, negative campaigning of the right against the lack of realism of Paroubek’s Social Democrats may have done the job in persuading many of their voters not to turn out – and a turn back to some quieter more moderate version of Czech social democracy is likely. However, that’s a cycle we’ve seen before with the shift from the bombastic Zeman to the technocratic Špidla to the even more bombastic Paroubek (leaving out the ill-fated, brief premiership of Stanislav Gross in 2004-5). The Social Democrats will also benefit from not being in government – and hence free to oppose unpopular cuts, and regroup and rethink – and are more experienced in bouncing back from bruising electoral setbacks and political meltdowns. The unexpectedly good performance of two, little fancied minor left-wing parties: Zeman’s SPOZ and the Sovereignty party should give them food for though. 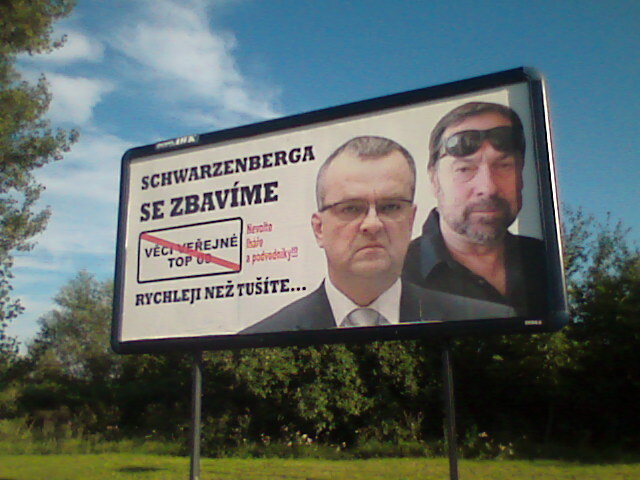 Zeman’s party was regarded as something of joke and/or vanity project, having little more than Zeman himself, a bog standard centre-left programme with few new idea (rehashing ideas the Social Democrats have regularly used) and surprisingly large amounts of cash for national billboard advertising. Some wonder whether it was not a Russian style spoiler party deliberatly backed by interests favouring the right. If so, it succeeded brilliantly. The somewhat less successful Sovereignty is, however, probably the one to watch and seems to be in for the longer term (Zeman has quit his own party): it has a more innovative blend of centre-left economics, anti-establishment rhetoric and a dosh of euroscepticism and in Jan Bobošiková – striking in trademark bright yellow dress – a striking figure with the cache of newness. Interestingly, Sovereignty and SPOZ seem to have picked up votes in quite different regions (see below) suggesting that scope for some more ambitious project – a Public Affairs (VV) of the left, if you will. It has also not escaped attention that despite its Prague stronghold (its origins lie in local politics in the Czech capital) VV seems to have picked up more than a few left-wing voters – doing surprisingly well in the industrial Moravia-Silesia region in the North-West of the country. The Mother of All Questions for the Czech left, however, is what will happen the Communist Party (KSČM) and its famously loyal voters? 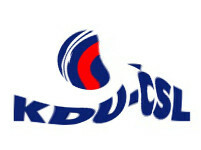 TOP09 was able to fell Christian Democrats (KDU-ČSL)- another party with a loyal core electorate, but limited wider appeal. but only, arguably, because TOP was founded by ex-Christian Democrats and because part of the KDU electorate was a more floating and centrist one. 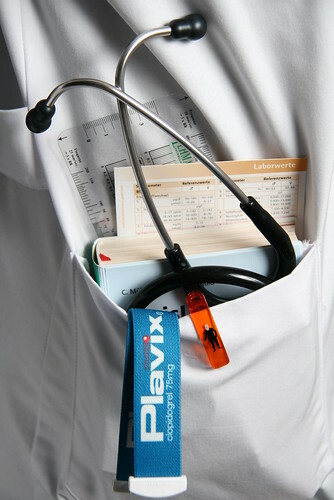 Would parties of the populist left be able to do a similar job on KSČM? The Czech Communists are bigger with a bigger core electorate and its seems unlikely that there is a Czech Robert Fico concealed somewhere inside the party reading to launch a Czech Smer? The Czech Social Democrats and their voters would, however, seems to offer more than sufficient scope for a small-medium size new social-national party of the populist left. The Czech election have happened and as soon as the exit polls came in, it was clear something pretty unusual had happened. When the results came in the Social Democrats ‘had won’, but both big parties’ score were way down on what had been predicted on unexpected and pretty much historic lows: the Social Democrats on 22.1%, the Civic Democrats on 20.2%. The big winners were the two new reformist centre-right parties TOP09 on 16.7% and Public Affairs (VV) on 10.9 who came close to pushing the Communists (KSČM) into fifth. In the end, however, KSČM – the only sure thing in Czech politics these days – pulled in 11.27%, a bad (-1.5%) but not a disasterous result. It was a bad election for small parliamentary parties: the Greens as widely expected were wiped out and – as also anticipated, but much more momentously- the Christian Democrats also fell below the 5% threshold and are out of parliament for the first time since 1990 and – in wider historical perspective taking into account the communist period (when they were a satellite party) and the pre-communist period – perhaps more than century. 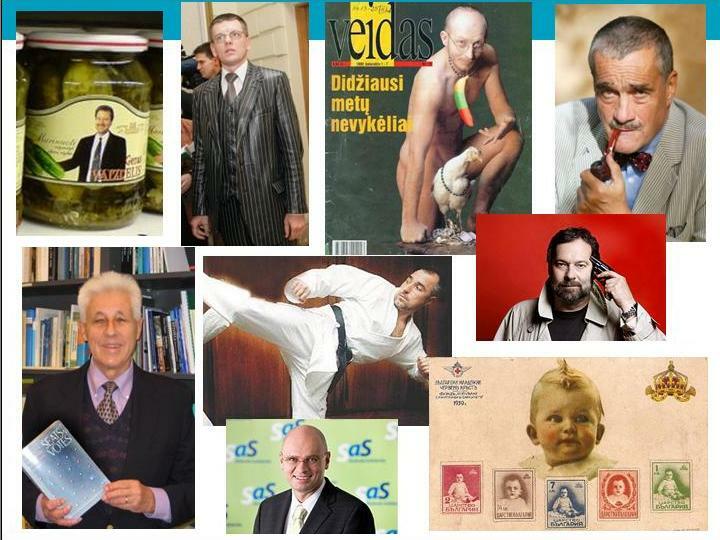 Small left-wing parliamentary parties – the Citizens Rights Party – Zemanites of … can you guess? …. former Social Democratic PM Miloš Zeman and the Sovereignty bloc of former news presenter Jana Bobošiková – neither of which were given much of chance before the election, both polled unexpectedly well: 4.33% and 3.67% – enough for annual state funding – although this wasn’t enough for the mecurial Zeman who promptly resigned as leader of his own personal party. 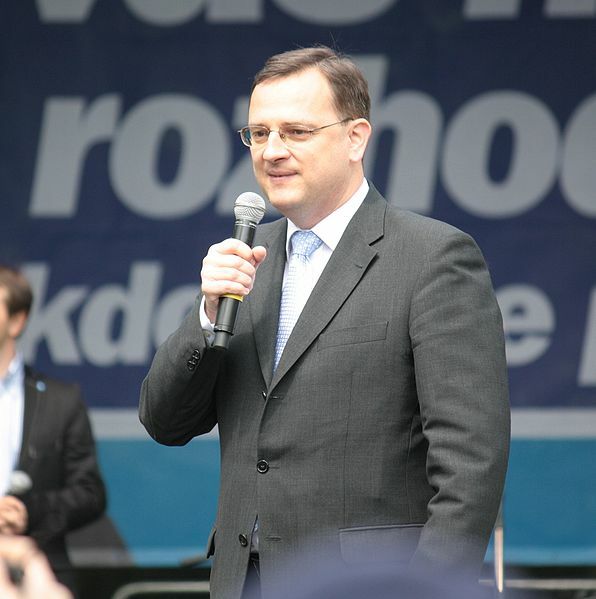 He was shortly joined by Christian Democrat Cyril Svoboda and Jiří Paroubek, who led the Social Democrats for the first time in ages to a worse-than-expected parliamentary election results – although without quite hitting the 8% managed by Vladimír Špidla in the 2004 European elections. My first main mistake was to assume – perhaps thinking of how British voters behaved earlier this month – was that new parties support would be less than that in the polls and that established parties somewhat greater. My assumption was that new parties new found popularity was fairly flakey and that some of their supporters either wouldn’t turn out to vote or would make a better-the-devil-you-know choice at the polls and opt in the end for an established parties. So Mistake No 1. was to underestimate the frustration of Czech voters and to overestimate the underlying appeal of established parties. A very West European error. This led to two smaller errors: Mistake No. 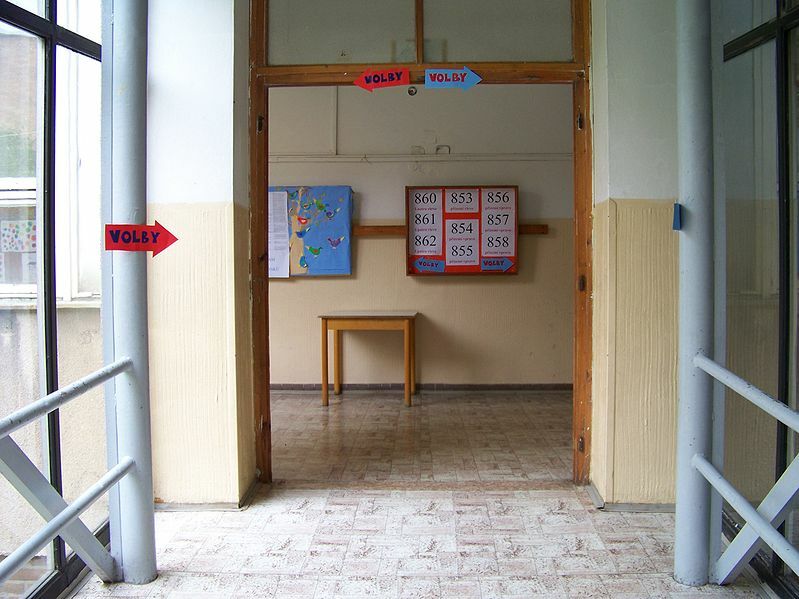 2 was to overestimate the core electorate of historic parties such as the Communists – who lost votes in both relative and absolute terms – and the Christian Democrats (KDU-ČSL), who did indeed fall below the 5% threshold. Interestingly, the gambler in me got this one right – I staked 10 euros on them crashing our of parliament winning have a princely four – while the more cautious blogging political scientist didn’t. Mistake No. 3 was to discount the prospects of small left-wing parties, despite the fact that polls showed at least one (SPOZ) creeping up in the polls to 3-4 per cent. Overall, I show (as ever) a lack of political imagination – or an engrained sense of disbelief – about likely changes. Borrowing from the trends picked Kevin Deegan-Krause’s poll analysis, I at least see that both main parties are not going to suffer a dip in support, but what I failed to see is that far from rowing back from these trends being , in the actual results conistent of these trends writ very, very large indeed. A bit of imagination and the Deegan Krause analysis and you could have been there. Lidovci příliš nezáří ani na jihu Moravy – ve své tradiční baště reports ČT24, the Czech CNN (as if). 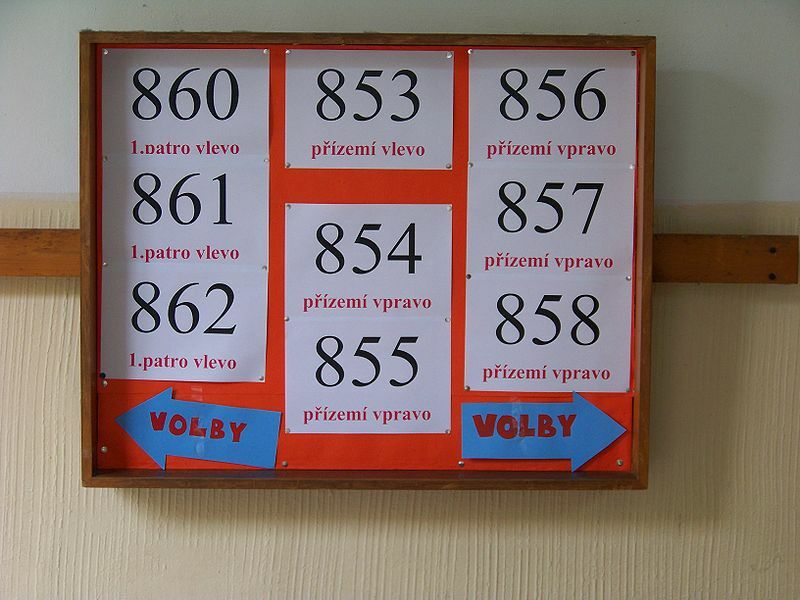 Translated this means that the Czech Christian Democrats (KDU-ČSL) are – according to regional polling – down to a grim six percent even in their historic bastion of South Moravia. They polled 11% of the vote there in 2006 election but nationally only just made it over the 5% threshold, this poll suggests their electoral support may be halved and, come parliamentary elections at the end of next month, they will go the way of the Hungarian KNDP and other small Christian parties in CEE – down the electoral plughole. With mass organization, tradition and some deeply embedded support in Catholic regions, they couldn’t totally be written off even as an extra-parliamentary party, but like the KNDP in the end they will end up simply as a building bloc for other alliance. Bad news for the Czech right in the short-term: if KDU-ČSL flops so do their slim chances of a parliamentary majority, but their demise would exactly not great news for the Social Democrats either, wiping from the political map a moderate, stable, pro-European grouping with a genuine commitment to a social market, leaving them more reliant than they might like to be. The culprits are, of course, the new TOP09 party headed up by Habel confidante Prince Karel Schwarzenberg and various, pragmatic pro-market Christian Democrat defectors such as Miroslav Kalousek. In the end, they might I guess find their way into the Civic Democratic Party (ODS) creating a broader based right – TOP09 is almost unashamedly openly a short-term vehicle and ODS current stand-in leader Petr Nečas is a practicing Catholic who can do social conservatism. If, of course, ODS does not desend into factional conflict there is a Civic Democatic Party left for them to make their way into. I suppose they will just have to wait for Václav Klaus to descend from the heavens (or at least the battlements of Prague Castle) and save them.